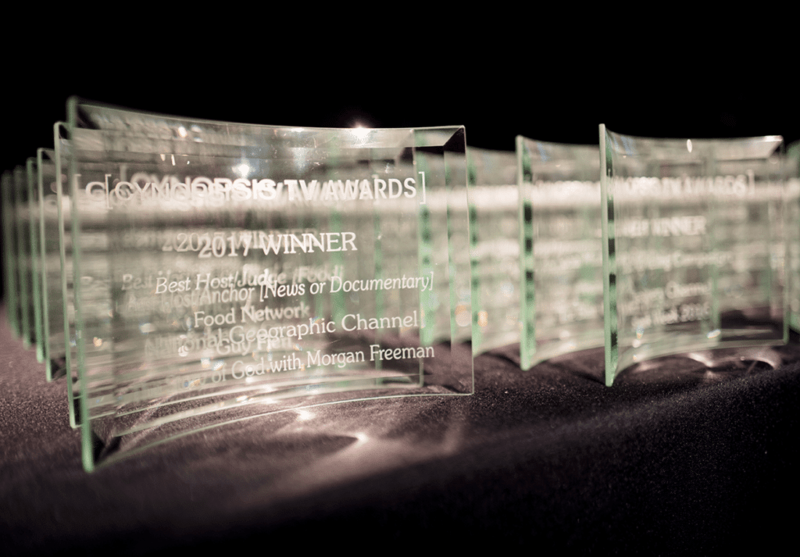 Cynopsis held a double celebration today – winners of the TV Awards and Rising Star Awards were announced in New York City, during a lunchtime ceremony at the Yale Club. Presiding over the packed house were Chris Jones, host of Facebook Watch series Double Take and special guest presenter, Orange Is the New Black’s Selenis Leyva. The TV Awards saluted a year of content in a range of genres, from thought-provoking documentaries, to intrepid travel, to dynamic drama, while our Rising Stars represented the innovators and stand-out performers who are driving progress in marketing, research, content, and more. The afternoon’s Luminary Award was presented to industry legend Henry S. Schleiff, Group President of Discovery Inc.’s Investigation Discovery, Travel Channel, American Heroes Channel and Destination America. Paula Zahn, Executive Producer and host of ID’s On the Case with Paula Zahn, had the honor of presenting him with the award, and the applause was hearty and heartfelt. See below for a full list of TV Awards winners and Rising Star honorees. 2018 Winter Olympics - Best of U.S. Winner CNBC's "Jay Leno's Garage"
Floribama Shore: Lost in NY!